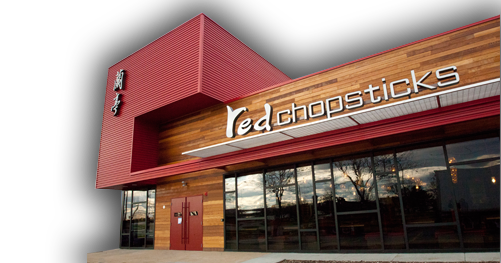 Red Chopsticks is a new restaurant concept from the owners of other renowned and successful Chicagoland restaurants. Red Chopsticks’ menu focuses on a unique, upscale approach to Northern Chinese (Mandarin) Cuisine, with a Pan-Asian flair. We offer familiar Chinese favorites such as homemade pot stickers, coconut shrimp rings, hot braised shrimp, stir-fried eggplant with basil, alongside other Asian favorites like Pad Thai, Singapore Rice Noodles, and a variety of seafood and vegetarian dishes. Monday-Thursday: 11 a.m. - 9:30 p.m.
Friday : 11 a.m. - 10:00 p.m.
Saturday: 11 a.m. - 10 p.m. & Sunday: 11:30 a.m. - 9 p.m.